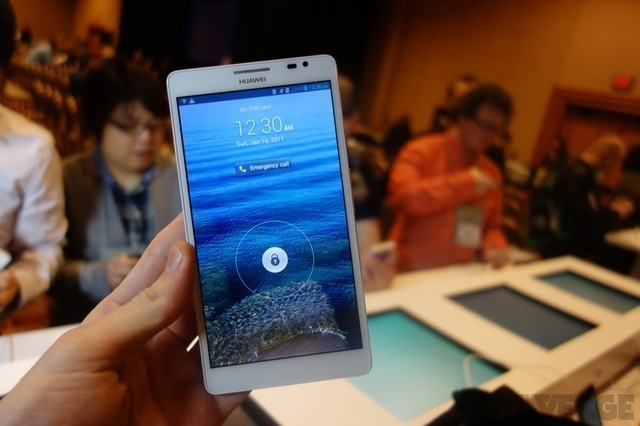 If you thought that the 5.5-inch display in the Samsung Galaxy Note II was big, then check out what Huawei (pronounced hoowa-way) has in their Ascend Mate smartphone. It’s packed with a 6.1-inch 720p display, a 1.5GHz quad-core CPU, 2GB of RAM, Android Jelly Bean, a 4,050mAh battery, and an 8-megapixel rear-facing camera. For a screen this large, one would’ve expected it to have a higher resolution display, but many people at CES who have had their hands on the device don’t seem too bothered by it.